Located in Onalaska, WI Fleet XL is your midwest authorized Hyundai translead dealer. Specializing in storage containers, trailer sales, leasing, and custom orders this new website makes it possible for you to search current new and used inventory. 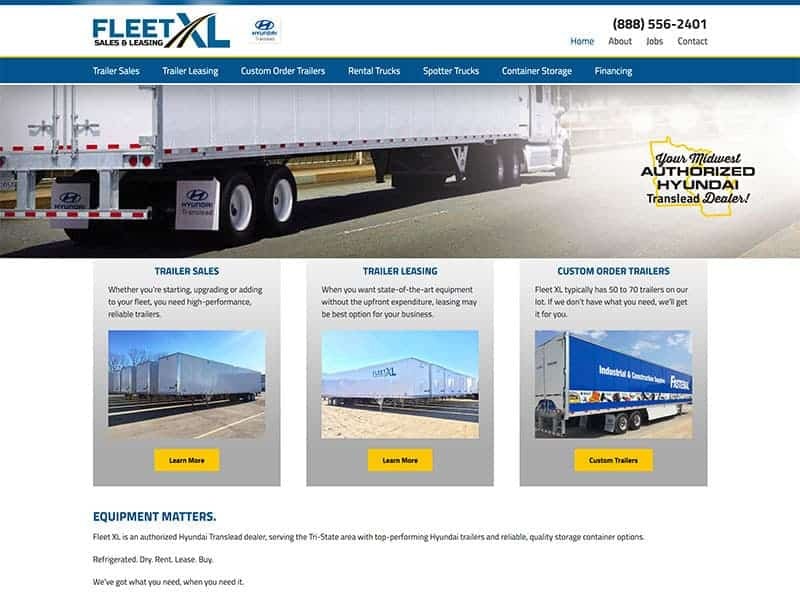 Or if purchasing is not what you are looking for, Fleet XL offers leasing options for just about all inventory selection from trailers, rental trucks, spotter trucks and more. Find everything you are looking for and more, while making the best financial decision for your trucking business with Fleet XL.